We are so excited to be launching our online communities! This space is for all Mended Little Hearts families and patients. Please feel free to introduce yourself and get the conversation started. I am Andrea Baer and I am the Director of Patient Advocacy here at Mended Hearts and Mended Little Hearts. I am also the community manager here at Connections in a Heartbeat as well as the parent to a child who was born with a CHD. Trenton turns 8 on St. Patrick's Day. I founded MLH of Southwestern, PA, served as the National Growth and Development National Chair, and then the Vice President of MLH on the Executive Committee of the Mended Hearts Board of Directors. Looking forward to get to know everyone! Hi! My name is Shannan Pearsall and I am the Group Coordinator for MLH of Long Island! I am a heart mom to Aidan (8 years old with HLHS). I am also the MLH National Social Media Chair! Hello! I am a CHD Survivor with Tetralogy of Fallot. I also am the Co-coordinator for the Central Virginia Group and can be reached at help4littlehearts@yahoo.com. 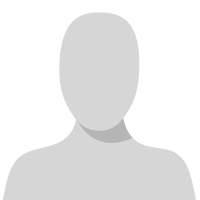 Hello my name is Julie Goss from Indio, CA. My son Kayden had a heart transplant at 8 months old due to dilated cardiomyopathy. Hi, my name is Elizabeth and my third (of four) sons is a heart baby. I was introduced to Mended Little Hearts shortly before he was discharged after is first OHS in 2013. Hi all, I am a member in SW Ohio but we actually travel to Columbus, OH for all of my daughter's procedures. She was diagnosed with Hypoplastic Right Heart Syndrome at around 26 weeks, so we were expecting a lot of what was coming after her birth. She had a ballooning at a few weeks old to open her pulmonary valve. We spent the first month in the hospital. She had her first OHS at 7 months, in which they performed the Glenn procedure and gave her an artificial conduit. Since then, she has had 2 sessions in the Cath lab to balloon the artificial conduit back open as it had narrowed. She will need a new conduit in the next couple of years. The outlook is good so far though that she won't have to get the Fontan and can stay and 1.5 chamber kiddo. Hello all. I am a 29 year old Aortic Stenosis survivor. I still find it incredibly odd to call myself a survivor, and am still so shocked how large of a group of people are affected by CHD either as patients or as family. With that in mind I was approached a little over a year ago to take part in an inspirational documentary following the life cycle of people with CHD. This past Monday was the world premier of "The Heart Within". Please feel free to follow the link below, and I hope you enjoy. A portion of the proceeds go towards Cincinnati Children's Hospital. Hi! I'm Erin. My daughter Raygen, who will be 6 on the 23rd!! !, was born with HLHS. She has had all 3 stage surgeries and is doing awesome heart wise. She is non verbal and only eats from a g-tube, but she is very social and so smart. Hi, my name is Candida Schendel. I am the Mended Little Heart Regional Director for the Southwest region. I have been a part of MLH since 2007. My son is 11 years old and has HRHS and a long history of SVT and arrhythmia. He has had all 3 stages of surgery and currently is on medication to control the arrhythmia. My name's Annie and in 2010 our daughter, Gracie Garman, was born with HRHS. Three open-heart surgeries later, she's doing AMAZING. We're thankful for this journey because through it God has taught us so much about His faithfulness and care. Just last year I published a book about Gracie's three open-heart surgeries ("Unexpected Grace: When Your Child Is Born With Half A Heart.") I hope to get to know more of you and support you on your journey! My name Siobhan and I have a 12 year old son with with HLHS. He is a remarkable boy and is truly living and thriving despite his CHD. We have been very blessed. He is the oldest of 4 children. I have been involved with MLH for about 6 years and I would love to answer anyone's questions. Hey there! I'm Emily and I'm the Group Coordinator for Mended Little Hearts of Houston! I've got a 12 year old heart healthy son and a 9 year old daughter with HRHS (Double Inlet Left Ventricle, L-TGA, VSD). She has had 3 open heart surgeries and is doing pretty well since her Fontan in 2011! There are always those hiccups though, and I cherish having the heart community around when I have questions or concerns. It's great to have a sounding board of parents who know what struggles we all go through! Hello! I'm Dara and my profession is an administrative assistant, but my passion is my son, 5 with HLHS. He has had four surgeries - the normal three plus a bonus for sub-aortic tissue build up. In addition to his heart, he has speech delays and some behavioral issues. However, he can also be the absolute sweetest little boy, smart and funny. I'm involved in our local chapter of Mended Little Hearts and it is a great outlet for me, knowing that I am helping others. I never imagined motherhood being like this, but I wouldn't trade it for the world. Hi my name is Carmen. My son Julian Santiago is 5 months he was born it with a large Vsd and asd he also has tracheomalacia and a gtube. We live in Philadelphia but we been in the hospital in Delaware for the 5 months. Hi! My name is Kim. My son, Seth, is 14 years old and was born with TGA. He had the arterial switch when he was 8 days old. He has done remarkably well ever since. He is my pride and joy!! I am the coordinator for the Mended Little Hearts of Oklahoma City group. We have been a part of MLH since early 2007 when I founded the OKC group. As well as being the mom to one awesome son and coordinator for the group, I also teach 7th grade Spanish and coach volleyball, basketball and track!! I am a VERY busy (and often times tired) person!! I look forward to getting to know a little more about everyone! My info is below of you ever need to reach me!! Hi. My son was diagnosed at my 20-week ultrasound with a CHD, which turned out to be Truncus Arteriosus. He had surgery at 1 week old, and was home two weeks later. He's now 2.5 years old and his next surgery is off sometime in the future. He's doing great. Our family lives in Oakland, CA and I have met a few of the other local heart families through the MLH chapter. I'm pretty freaked out and mad about what might happen to health care. I remember thinking how grateful I was that the ACA was in effect when he was born and I wasn't going to have to "worry" about things like insurance coverage for him...Happy to be connected to you all. We have a 17 month old daughter who was diagnosed during pregnancy with TOF. She had surgery 4 months after birth, in Dec 2015. We live in southern Indiana and traveled to C.S. Mott's in Ann Arbor,MI for her birth and then again for her OHS. We'll return there for her future OHS as well. We also have an angel girl, who was prenatally diagnosed with HLHS, born a month early (in 2012) and lived for 4 days, at C.S.Motts. We also have two other children, both who have had echocardiogram done given we have had two children with CHDs, and they are heart healthy! Hello! I'm Margaret King and I have an 8-year old son named Kieran who has HLHS. I'm glad this forum was started! I left facebook and have been missing heart community news! Cheers! I seem to be having a hard time replying to specific threads/topics, and for some reason, unable to log in or register, but for Heartbeat Magazine topics, I'd like to see research and recommendations for liver issues after the Fontan. As for taking care of ourselves as heart parents, that's always a challenge. To be honest, I have heart friends and I have non-heart friends so I can "feel normal" sometime and get support and solidarity at other times. I've learned how to advocate for myself at home when I can, when it comes to breaks and rest/downtime. My name is Christine Fletcher and I am pregnant with our first baby. Last week, at my 21 week ultrasound, we found out that she has two critical congenital heart defects. We are hoping for a clearer diagnosis, but currently, we understand that she may have a single ventricle heart and pulmonary stenosis. I am having a hard time finding information, resources or stories that are close to what our daughter's diagnosis is. I am frustrated by the lack of information in books and in general around CCHD and CHD. We have a follow up appointment with our fetal cardiologist next week to take another look and to further discuss our options. Any help you may be able to give me would be much appreciated. Welcome to the communities. I know how you feel in this initial diagnosis period and it is scary. I'm so glad you found us and hopefully Mended Little Hearts can help support you. First...congratulations on your baby! It sounds like you are still trying to figure out what the CHD is exactly but we have a lot of members whose children have a single ventricle CHD and pulmonary stenosis. I'm going to reach out to a few that I am good friends with and have them jump on to give you some more advice. My son is 8 and was born with a CHD and Down syndrome. He did have open heart surgery and I can relate to the fear and need for knowledge that we first felt after his diagnosis. Let us know once you find out more information and we can point you to the education about the specific defect that is accurate and sound. My name is Nicole Sanchez, I'm an adult with a single ventricle (Tricuspid Atresia), so I have my left ventricle but my right one was under-developed and not functioning. I am also a coordinator with Mended Little Hearts of the Bay Area, I believe you recently registered for our group! I would be happy to talk with or meet with you, I am in Alamo so I'm close to Oakland. :) I know I'm not a parent of a child with a heart defect, but I would be happy to share my experiences with you. Hi, My name is Jodi Smith Lemacks, and I am a mom of a son with Double Outlet Right Ventricle (which is very similar to HLHS) who also had an intact atrial septum. He is my third son (almost 14 now), and has had a Norwood, Glenn (both 2003) and Fontan (2006). We live in Richmond, VA, but he had his surgeries in Philadelphia at Children's Hospital of Philadelphia (CHOP). He is now also in the Fontan Survivorship Clinic there and is in a clinical trial (the FUEL trial). Overall, he is doing very well and plays baseball and basketball. He was recently diagnosed with some liver disease, so that is being treated. My son was diagnosed at 20-weeks too. I remember how frustrating and scary it was. He has a single ventricle defect (called Double Outlet Right Ventricle) and he had a intact atrial septum. That was in 2003, and I could not find anything other than a booklet (If Your Child Has a Congenital Heart Defect (now online)) by the American Heart Association. I found that the best site to go to is pted.org. That has diagrams and describes all of the different heart defects. For a good parent resource, the MendedLittleHeartGuide (mendedlittleheartguide.org) is wonderful. Also, the Children's Heart Foundation has a book called It's My Heart that is a very good resource for parents. In California, there are several really good hospitals that do CHD surgery, and they may have info too. Please feel free to call me (804-647-3830), text me, or email me (jodi.lemacks@mendedlittlehearts.org) if you have any questions or just need another mom who had a fetal diagnosis to talk to. Joshua is doing well now, but our journey was not easy. Know you have a big support system here for you. My name is erika, i am a heart mom to Ben. He was diagnosed with HLHS and TGA at his 4 month checkup. He is now 7, almost 8, and has a pacemaker. He hasnt had the Fontan and likely wont, as there is really no benefit to him at this point. I live just south of Austin, so staying active with MLH of San Antonio has been a challenge, and it is hard to find other heart families in the area, as evwrything in central and south Texas is so spread out and the Kyle/Buda area isnt as large as the metropolitan areas. I would love to get to know other heart moms, whether you are in the area or not, it has been a long journey and we are thankful for every day! Nice to "meet" all the new parents and read your stories!!! I look forward to learning from all of you! Mom to 4, one of which has a repaired right coronary artery w/intramural course. My name is Stacy and I have 2 heart babies. My first born is now 14 almost 15 and going on 30, he was born with coarctation of the aorta, pulmonary fistula and mitral valve stenosis. He was diagnosed at 12 hours old and had his first surgery at 3 days old. His 2nd surgery was 2 days before his first birthday. He currently has an enlarged ascending aorta and we are in the waiting phase to see if it reaches surgery size. He is 4mm from where it needs to be to have surgery. My youngest is my other heart baby. He is 2.5 almost 3 and was born with severe AVSD. He had his surgery at 6 months old and is doing wonderful. So far, knock on wood, nothing else has come up. I do have a 3rd son who is 9 almost 10, he is my heart healthy one but is high functioning autistic. 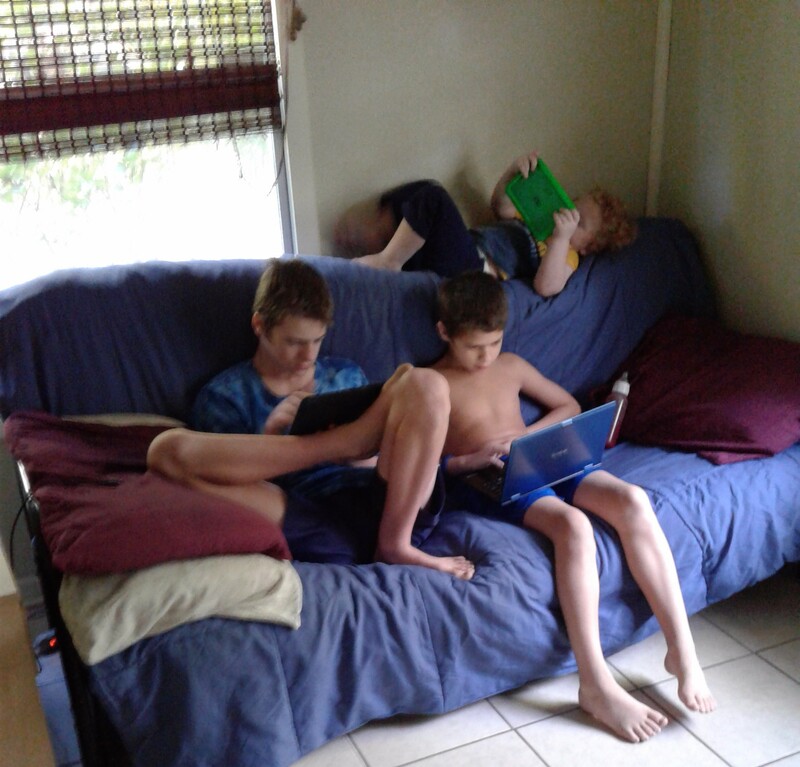 I homeschool and it has been an amazing journey with these 3 little boys. The older 2 have been diagnosed ADD as well and my little one is already showing signs of it. Welcome to the communites! Nice to see you. My son was born with a complete AVSD and had his surgery to repair at 11 weeks. He's doing pretty good now and his heart health is remaining steady. He will need another open heart surgey at some point but for now...we are happy. Thanks for sharing a photo too! Always great to "see" other heart families. Hello! First time posting so I'm not sure if I'm doing it right :) My name is Sarah. I am a single mom to 2 boys, 7 & 2, my oldest is heart healthy and my youngest was diagnosed at birth with Tricuspid Atresia. He had his BT shunt at 6 days and his Glenn at 3 months. We are currently at BCH recovering from his Fontan yesterday. He's doing great and very feisty. I'm hoping they pull the intracardiac line tomorrow so I can hold him, for everyone's sake! Lol My oldest is doing a great job dealing with being away from us and my sister is planning on taking him up for a visit soon. As soon as this phase is past us I want to get into doing more either with MLH and or going back to school for social work/ child life/ nursing. Thanks!! Welcome to the communities. I look forward to getting to know you. I love your spirit and your desire to give back to the community once you are through the rough times. My son is 8 and had open heart surgery at 11 weeks. He is the reason that I am working in advocacy today and why I spend my time with the Mended Little Hearts and Mended Hearts community. I went back to school after he was through his surgery. Let us know if you have any questions and feel free to join in the conversation! I am currently 29 weeks pregnant with our first child and she was diagnosed today with tricuspid atresia/HRHS. It breaks my heart that she will have to have surgeries at such an early stage of life but I am thankful for them and trying to be hopeful that everything will be ok. Welcome to the community. Your little one is adorable. :) I love pictures of babies. Thanks for sharing. I'm glad things are going well. Hope you find a great place to share here. Angela Eilers from Orange County, CA. My heart kiddo is almost 8. She has pulmonary stenosis, 2OHS. Hi fellow CHD families. I'm Yvonne and our CHD warrior, Bryce was born with complex single ventricle, hole between upper two chambers, hole between bottom two chambers, issues with the four heart valves, transposition of the great arteries. He was diagnosed at 18 weeks gestation and was born at 35 weeks 5 days. He has had three heart surgeries to reroute blood flow, the BTR Shunt, The Glenn (7-12-2015) and The Fontan (7-6-2009). I joined this online community in 2017 and life got busy. Our son's first time going to Camp del Corazon was 2014 when he was in 4th grade and he came back knowing that is not the only heart kid out there. This year will be his 4th attending Camp del Corazon for the summer of 2017! He knows his heart is different, my husband and I told him that his heart is different and he needs to listen to his body and rest when he feels the need. Now that he's older (turned 12 in 2016), he understands more how his complex single ventricle heart and other heart defects work. His school has "his heart defect papers"--describes his heart, things to watch for especially dehyration, a letter from his cardiologist and info about Camp del Corazon( since he misses a few days of school to attend). We are blessed to be his parents and I look forward to "meeting" other CHD families here. My name is Elizabeth Howell and am so happy to find a group of moms with which to share this journey. 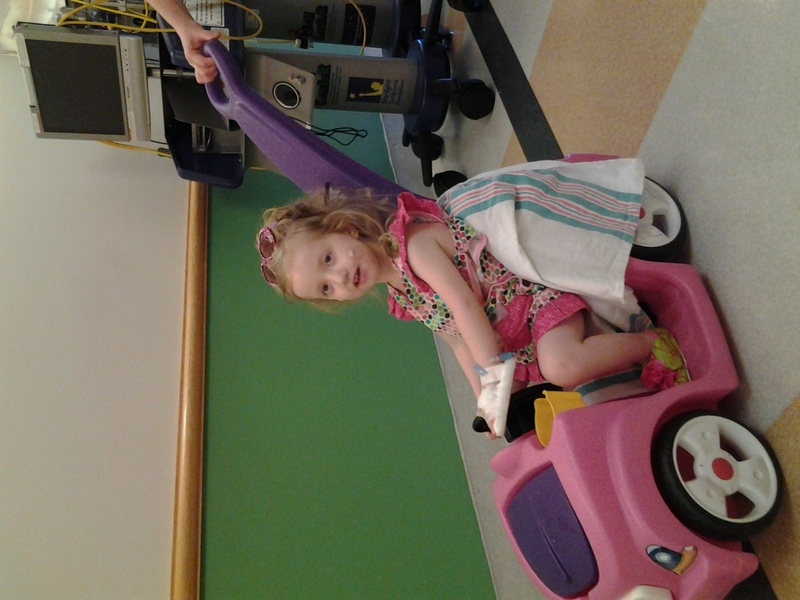 My daughter, Taylor Elizabeth, is 4 years old now and my family is preparing for her open heart surgery this July. Taylor was born with a CHD - VSD that we hoped would close, but instead has created additional complications that also need to be removed. We have kind of braced for this moment since she was born, but now that this is a reality, I'm very afraid. We have not been strangers to the OR or the ER or the cardiologist's office. Taylor has had two other surgeries in her life, so you'd think I'd be a little more prepared for this. NOT!!! Open heart surgery is very different. The warrior in me is obviously ready and my Taylor is a fighter just like her mommy. The problem is the "unknown". Taylor is a very vibrant, STRONG-WILLED, little girl with so much love for life. She is an "old soul" and most everyone who meets her says "this little girl has been here before". As an infant, Taylor's observant eyes seemed to look right into your soul. Throughout her life she has been so active and never wanted to miss out on anything from soccer to ballet to gymnastics. She's curious about everything and is EXTREMELY protective of our 3 yr old son, Ethan, who she calls "her baby". I also have a bonus daughter, Tyla who is 11. My husband and I are looking to this community to share insights and support as we walk this journey together. We have a very large family and support group, but no one in our circle has walked through this the way you all have. Any insights on what to expect before, during, after the VSD surgery as well as how you handled support for siblings. We need help explaining this to both Taylor and our 3 yr old Ethan in a way they can understand. Do we keep Ethan away after the surgery to reduce infection? How do we support Taylor in this experience without stifling the natural "warrior" in her? I'm happy to share our journey thus far as well. Sending virtual hugs and strong arms to my new "heart mom" community! My daughter had open heart surgery when she was 7 months old to correct her VSD and ASD. As she has grown older she also had a leak in her heart valve that corrected itself thankfully. I understand the anxiety you feel. It was one of the hardest things I ever had to do was to hand her over to the surgeons and worry about the unknown. Her Cardiologist checked on her daily when she was in the hospital and called a few times after she went home. I called him anytime I had any concerns and he was wonderful!! Alyssa was my warrior. Recovery was not quick nor easy. I did not allow her to leave my home or visitors to see her during the weeks following her surgery because I did not want her exposed to germs. We had to be very careful of her incisions because they caused her the most discomfort. Her cardiologist did not send her home on any pain medications, so I used tylenol whenever she was uncomfortable. Kids are so smart and once they do something that causes them pain they wont do it again. She starting acting like herself again and became more active in six weeks. Alyssa had a few bumps in the road over the years . She is now 22 and graduating from nursing school in May. She has told us since she was a little girl that she wanted to be a nurse and help children like her. 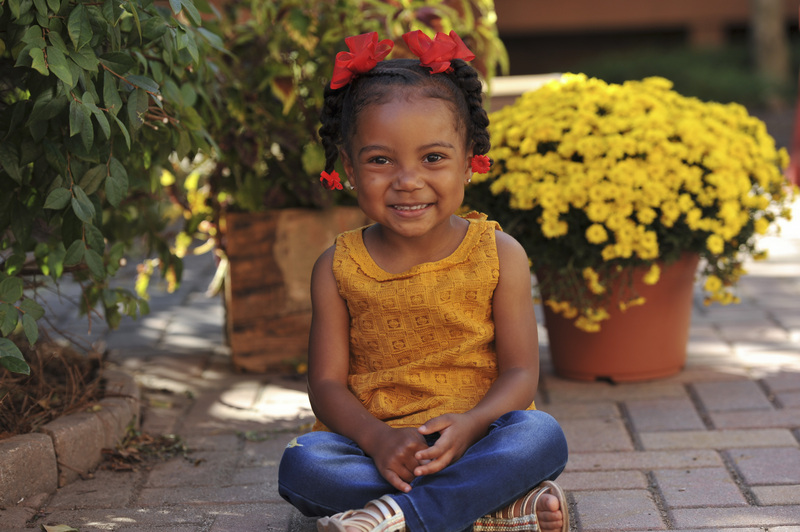 Her story was a light for a few parents that she came across in her pediatric clinical. Even as the years have passed, You always worry and you never forget the anxiety or the fear you felt on that day you put her in the hands of the surgeon. I wish your daughter and your family the best. Trust in your surgeon and your cardiologist!!! I am a 50yr old with TOF. Having had open heart surgeries but when I was little and as an adult I thought it would be helpful to give a voice to the little warriors. After surgery I always find it less painful to sleep on an incline. Not only is it more comfortable, it causes much less pain when you get up. Getting up feels like a 1000 bandgs being ripped at once to start and gets fewer each day and the more you move around. Actually the more I moved around after despite the discomfort, the quicker I was able to move around with less pain. Also holding a firm pillow when you go from laying or inclined to upright also dulled pain. As for pain meds, I noticed if I had something on board starting late evening, I could sleep better. I didn't wake myself from pain when I moved around. To help my body heal ASAP I asked a nutritionist. Their suggestion was good fresh fruit to aid in soft tissue repair and good bread to help cartilage. Congratulations on the privilege of being a heart mama! My 10 year old daughter is my heart hero. She was born with half a heart and has thrived through 5 heart surgeries and many hospitalizations. It has been my privilege to grow with her in the heart community. Its not an easy journey but it has brought so much good into our lives. It's wonderful that you are reaching out and have time to prepare for her surgery this summer. I am a planner, and have had too much experience in this area. So below are many things that helped me and that I've learned over the years. It may be too much for what you need or want but hopefully you find some if it helpful. You mentioned having a large support in family and community. This is wonderful! Everyone wants to help, support and feel they contributed to your time of need. However, I absolutely agree with Peggy that keeping people physically away is best for your daughter. I found, over the course of 5 open heart surgeries, that setting tasks before the surgery worked very well. I found these things allowed for my support system to be involved and connected while providing me the space needed to focus on providing snuggle time and calm, quiet recovery for my daughter. 1. I asked a group of friends to arrange and DROP of meals for my family for a week. 2. 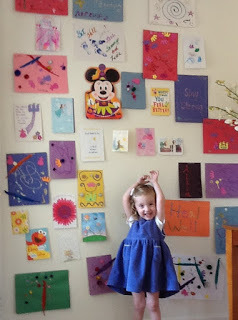 I asked my mommy group to have their children create a "wall of wellness" for my daughter. This was AWESOME for my girl. (Picture Below). She felt so special! 3. I kept a daily blog specifically and only for the surgery so people could get updates without me calling, texting or feeling like I had to Facebook reply all day long. 4. I had family and friends pre-record little songs or story times that I loaded on her iPad so she could see her people anytime she wanted. As far as your son, most hospitals have a great ChildLife program. Please contact your facility to see if this is available. They are fantastic! They provide support to the patient as well as their siblings. 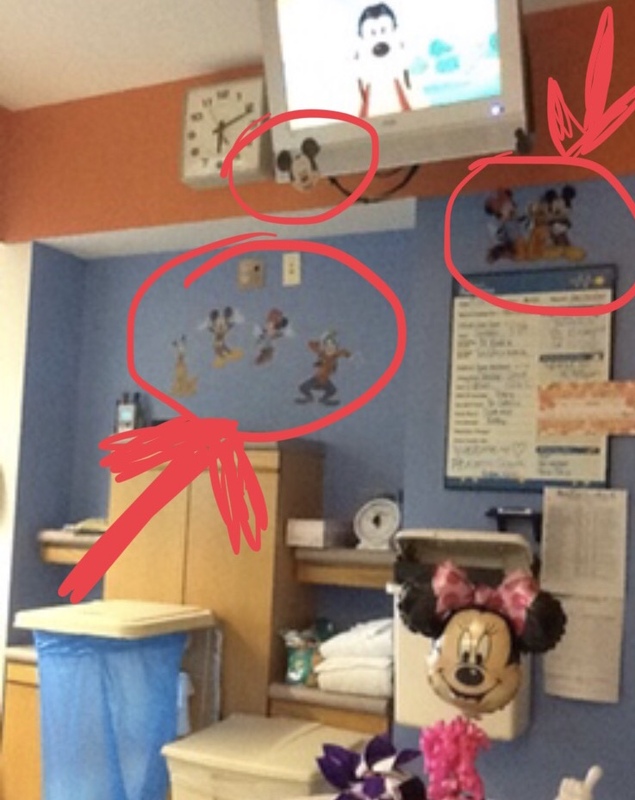 They will take them on tours, show them the hospital, talk to them about their procedure, bring treats snacks and prizes to their room - for the patient and any sibling that is visiting. It actually gives them something to look forward to together. 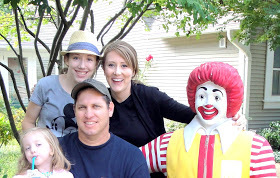 Another great resource for keeping your family together during this time is the Ronald McDonald House. I cannot tell you what a great support this was for my family. They provide a place for you to stay close to, or on the hospital campus so that you, your husband, your son and your older daughter can be close to the hospital but not have to be in the hospital all the time. The house provides bedrooms, living space, laundry, playrooms and a kitchen. They have groups that come in to provide meals and treats. They give families blankets, gift cards, toys, prizes. It is also a place to connect with other families who are in the hospital at the same time is you. If your area has this resource I would definitely suggest contacting a social worker to see if this is something you can take advantage of. It is not income-based, it is medically based and a great connection for all people walking through these things. As far as approaching "the subject" with your children, here are 2 books that I found helpful. The first is more for the parent and older children. The second is definitely for your young son and daughter to understand heart surgery. 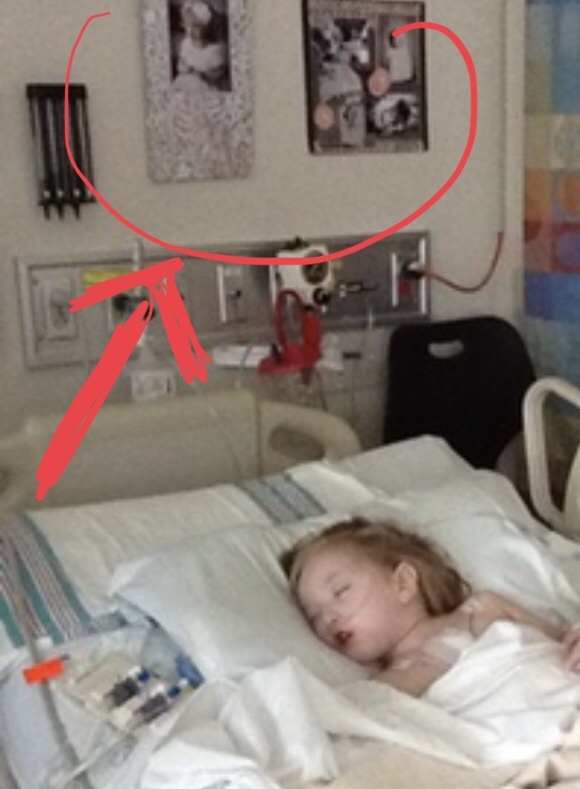 I did a few things to personalize her hospital room stays too. 1. We made custom hospital gowns out of fabric designs she picked out (pictures below) She loved her "heart jams". Here are resources that will make them for you. I wish you all the best in this journey. I am sure that your daughter is going to superhero her way right through this. First, what a cuties! I am a child care teacher and have a joyful time with kids' curious minds, enthusiasm and sense of fun. Although I am a male, I AM a survivor of three open heart surgeries, the first when I was 9 years old, in 1968. (All but a few dinosaurs were gone). When it comes to open heart surgery, I believe gender does not discriminate; we all go through the angst, worry, and recovery situations pretty similarly. Elizabeth, back in 1968, surgery for one so young was something eager cardiologists could only dream about. I was born with an aortic stenosis in 1957, and my chances for survival at nine were 50/50. I am certainly not mentioning this for frights, in fact I applaud the amazing leaps and bounds that cardiac surgery has made in ten, twenty, and on and on! I love having joined this site. It feels therapeutic, and I feel I can "give back" to parents, adults and patients some hope and perspectives. I think the only real discomfort after all these surgeries was the chest pain from the sternum; not everyday your sternum gets opened, yet today many cardiac procedures involve that. And wow, did my chest itch! Elizabeth has given great "mommy" advise for you and your child! Thanks Elizabeth! As far as the worry and fright for your young warriors, it a normal human response to all the unknowns, and I believe makes us warriors as well. My parents, god bless them, were always with me, and that was a gigantic help. Aunts, Uncles,and other relatives came to visit me with cards, humor and support for both me and my parents. One uncle even had the New York Mets autograph a baseball for me, a year before they won the World Series! I am not sure if therapy animals are allowed after surgery, but that's another idea. Back then, way back then, parents were not allowed to stay overnight with their kids....THAT was scary for me. I felt alone and scared as a youngster. daughter see, in her own way. Knowledge is power, and this curious kiddo can really help the family all be a part of this event. Please stay in touch, I am eager also to share the event during the summer. Remember, out of fear, comes courage. So glad you are all getting the support you need. Yes! This is great advice! I started buying puzzles displaying the body a few years ago to introduce how our body works. I've been so afraid of the possibility of surgery that I purposely didn't broach the subject. Now that it is a reality, it is time to have that talk. Thanks for sharing your strength and story with us. Thank you so much for sharing your journey with your beautiful daughter. How helpful this is to our family. We've already begun scheduling "decorate" parties for Taylor's friends and cousins who want to make posters for Taylor's hospital room. We're also creating a "movie" compiling videos of her favorite people wishing her well and looking into many of the suggestions you provided. My colleagues at work created a space for our family on the MealTrain website that will be used to facilitate communication to everyone wanting to stay updated on Taylor's surgery and progress. The site allows for meal scheduling, baby sitting for Ethan, donations of gift cards from many grocery stores and relevant retailers. I love that people can decide for themselves how they'd like to support. I also love that we can create one update that will be distributed to all our friends and family. Will help me not have to personally call or message everyone before and after the surgery. I highly recommend this site for families out there also preparing for surgery. Thanks for the heads up on the recliner. We are ordering an adjustable bed frame for her. You all can't know how grateful I am for all your stories and insights. I'm sending you and your family all the strength and love you can stand!!! First, I'm sending hugs to you and your daughter Alyssa. Thanks for sharing your experience with me. It's helpful to read the success stories and stay reminded that there so many victorious heart warriors out there living beautiful lives. Hi all. My name is Ashley. My son Christian was born on 3/13/19 and diagnosed with Tetralogy of Fallot with VSD 2 weeks ago on 4/1/19. He has his next appointment tomorrow morning. As of 4/1 we were looking at him having open heart surgery in June to correct the defects. My husband and I have been married since May 2018 and live in Evans GA near Augusta. I have 2 children from a previous marriage. I am a stay At home mom and my husband is an Electrician. I am a Tetralogy of Fallot born 5/19/1968. I am confident you will appreciate this group. Your son is adorable! What a sweet blessing. Welcome to the community. My son is 10 now and had his open heart surgery at 11 weeks old for an AVSD. He's doing fabulous now. I am the community manager here so if you need anything, please reach out! We are just beginning to establish a new Mended Hearts and Mended Little Hearts chapter in Augusta, GA! How exciting you are close.